The President lamented how he has been beaten black and blue and his family subjected to what he described as a demolition job for the past few years. 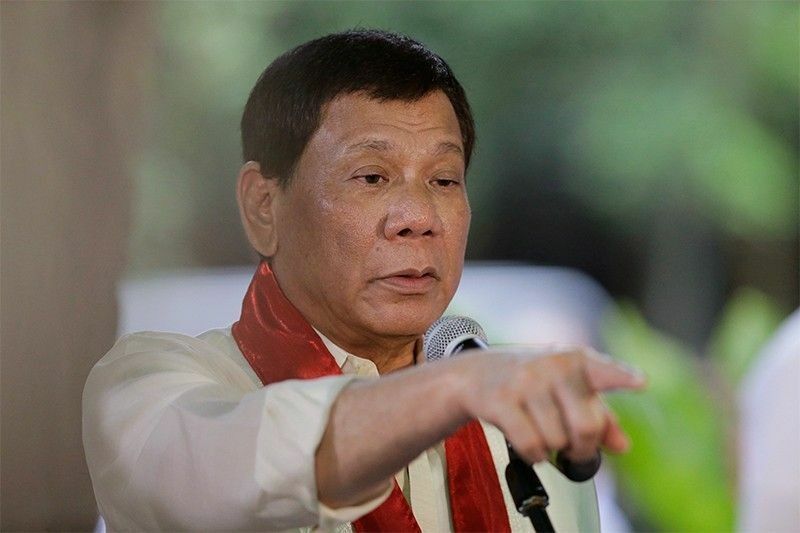 DAVAO CITY – Saying he has had enough, President Duterte warned media practitioners who have been critical of him and his administration that he will fight back and spill the beans on them. “Isulti ko na karong pila ka adlaw. Huwat lang mo. Ayaw gyud mo’g tuo nga kaning mga taga-Manila. Og kamo, anak mo’g pobre unya mga baho mo’g ilok kay wa mo’y kwarta, mas baho pa siguro nang inyong – ayaw gani mo’g inarte. Sige lang kay naa ko’y ipagawas pud kontra nila. Makit-an ninyo. Abi ra’g kamo ra (I will spill the beans one of these days. Just wait. Do not ever believe those from Manila. And you who are children of poor parents and your armpits smell, don’t be pretentious. One of these days I will let out something against them. You will see. You’re not the only one),” Duterte said at a rally of the ruling Partido Demokratiko Pilipino–Lakas ng Bayan in Bukidnon province the other day.